Teams battled it out at Canford School, near Wimborne at the beginning of July as part of the first Diverse Abilities’ Totally Wiped Out challenge event, raising funds for the local disability charity. Groups of fundraisers warmed up for the challenge by taking part in a dance-off before taking to various obstacles, which included a punching wall, tricky trunks, the sweeper arm and some large inflatable red balls. Congratulations go to Keytek Locksmiths for beating stiff competition and taking home the first-place trophy. 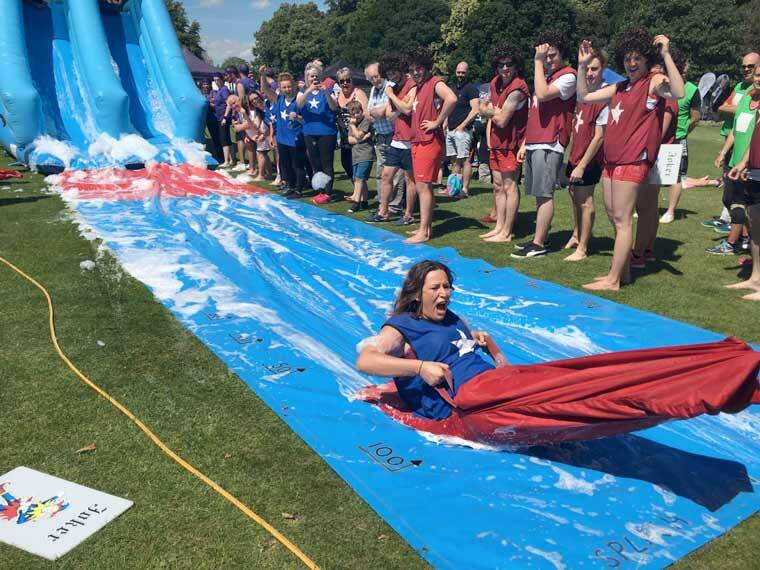 The money raised at this year’s Totally Wiped Out event will help the charity to continue supporting adults and children with disabilities across the county, to enable them to achieve their full potential.